What about raising the topic of Buddhism? I didn’t say much about Buddhism. Look, I don’t think there’s any question, this is a matter of fact. I don’t think Buddhism is hostile to forgiveness or redemption, but Christianity, like no other religion we’ve ever known, is principally, and fundamentally, and especially about forgiveness and redemption. That is what Christianity is based on. That is why Christ was here. That is what he came here to achieve. On that issue, Christianity is unique. Some have questioned whether Christianity can help you be more faithful to your spouse. I don’t think you draw a straight line that way. My sense is that if you turn to Christ and seek his forgiveness and mean it, you’ll get it. You will be impelled and inspired to live the Christian life. Christianity is a religion for sinners. It doesn’t encourage you to sin, it encourages you not to, but it provides a way of forgiveness and redemption. That’s what Tiger Woods, like many sinners, needs. That’s something we all need. He, in his particularly desperate moment here where he appears to be losing his family, is in special need of it. And I hope he finds it. I don’t think I would blame Christianity for the failings of people like that. Christianity is the right religion for people like that. Christianity is a religion for sinners. Christianity is not about the salvation of perfect people. Christianity is a way for people who are not perfect to be saved. What Mark Sanford needs is not less Christianity. He needs more of it. Too bad this is not the stuff that dominated in the press. 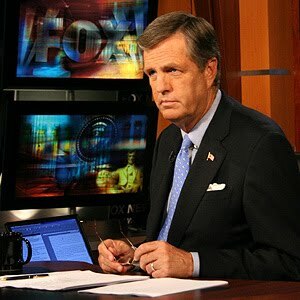 Turn to the Christian faith, Brit Hume, and you can make a total sin of yourself and a great example to Roger Ailes! We have all sinned and come short of the glory of God. We all need forgiveness and we know that Jesus will forgives us when we turn to Him in repentance. What's sad, is when we ask those whom we have hurt/sinned against for forgiveness, they will not forgive us, but yet, they claim to have the love of Christ in their heart. "I don't think I would blame Christianity for the failings of people like that. Christianity is the right religion for people like that." Amen, Amen. A thousand times, AMEN. Great stuff. Preach it Brit.